Biking is one of the best ways to explore Alpena! Plan your adventure with the Friends of the Thunder Bay National Marine Sanctuary! We offer a great selection of Raleigh bikes for men, women and children as well as Burley child trailers and tag-alongs. 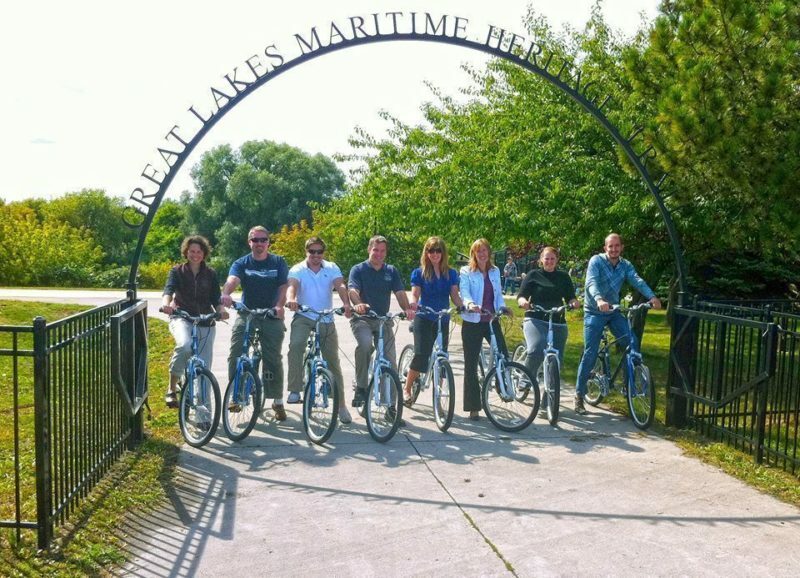 Explore the Maritime Heritage Trail, the 16.5 mile long Alpena Bi-Path or grab a map and head out on a number of self-guided tours. Bikes are available seven days a week on a first-come, first-served basis. All rentals require a security deposit. For your safety, please wear a helmet – provided with your rental – and obey the rules of the road. For information on availability and selection, contact the Sanctuary Store at (989) 356-8805, ext. 18.